North American regulators have been relatively quiet this year. 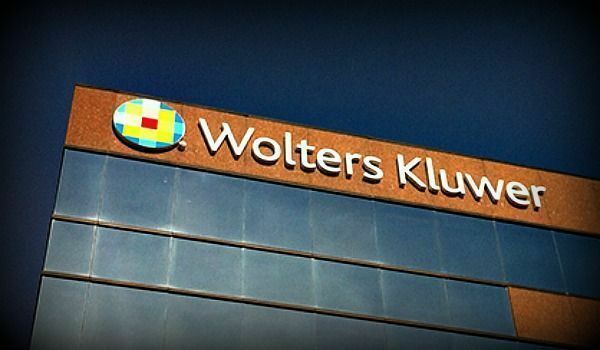 But 2018 could mark a change of approach according to Wolters Kluwer’s North American Finance, Risk & Reporting experts. Here Bart Everaert, Will Newcomer and Dries Verboven examine the outlook for next year, predicting an upswing in regulatory initiatives. This in turn could well lead banks to question whether their technology is up to the task. North American regulators have been a bit on the quiet side in 2017, with few regulatory or risk initiatives finalized or changed. Wolters Kluwer’s experts expect this dry spell to change in 2018. 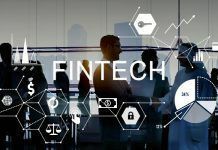 We have already seen this in the U.S. with the delay of the phase-in of certain capital rules for non-advanced approaches banking organizations. This freeze comes as the U.S. regulators are considering much demanded (most notably from the American Bankers Association (ABA)) simplifications of the capital requirements. The Federal Reserve also has made statements recognizing the impact of the new current expected credit loss (CECL) model to accounting provisions and, consequently, retained earnings and regulatory capital. They are therefore “considering separately whether to make adjustments to the capital rules in response to CECL and its potential impact on regulatory capital”. Additionally, the finalization of the post-crisis reforms to the Basel III framework by the Basel Committee on Banking Supervision (BCBS) has already been fully endorsed by the Federal Reserve. This only strengthens the expectations of a revised framework in both the U.S. and Canada. In 2018, we also expect to receive some clarity around the finalization of the Net Stable Funding Ratio (NSFR) regulation. Although the expectation in the market has been for a final NSFR rule to be published in the first quarter, many voices argue against the rule, claiming the rule would impose significant needless costs to banking organizations. 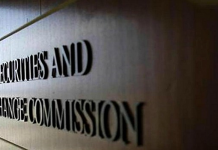 The ABA has noted that that the Liquidity Coverage Ratio, the Total Loss-Absorbing Capacity rule, the G-SIB surcharge and Regulation YY (EPS) effectively achieve the NSFR’s goal of maintaining a stable funding profile for banks over time. As for Canada, The Office of the Superintendent of Financial Institutions (OSFI) has already said it will delay its NSFR requirements in order to be able to respond to the Federal Reserve’s decisions on the matter. As a result of the Economic Growth and Regulatory Paperwork Reduction Act (EGRPRA) review, we expect the banking agencies to make further changes to the existing key regulatory reports, such as the Call reports, FRY-9C and many others, to eliminate outdated regulatory requirements and ensure alignment between the regulatory agencies. In April 2017, the Federal Deposit Insurance Corporation (FDIC) released the FDIC Part 370, which is a resolution requirement that aims to ensure deposit account holders have swift access to their insured deposits in the event of a bank failure. The rule is due to be implemented early 2020. We expect affected banks, those that have more than 2 million deposit accounts, to review their current data sources to identify gaps and put in place plans to remediate data gaps and automated processes in 2018. Although new regulatory requirements are slowing in the U.S., we believe regulatory scrutiny is not. We also see that regulators are shifting (or expanding) their focus from the largest Tier 1 banks to mid-size banks. These banks are heavily exposed because of highly manual processes and key person risk. In Canada, banks will be busy implementing the Basel Capital Adequacy Reporting changes to include IFRS 9 related details and remaining Basel regulations such as the Total Loss-Absorbing Capacity (TLAC) standard. Banks, particularly those below $250B in total assets, have sought relief from the more onerous portions of the Dodd-Frank Act for some time. 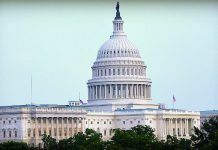 The proposed House and Senate bills granting relief in certain areas and under certain conditions has a good chance of passage under the Trump administration and will likely be voted on in the coming session. The effects and benefits of the proposed reliefs are yet to be determined. Just as these bills were being introduced, the Federal Reserve began its new Horizontal Capital Review (HCR) which replaces the qualitative assessment of their capital plans in The Comprehensive Capital Analysis and Review (CCAR) for large and noncomplex (LNC) designated firms. Although the HCR has a narrower and targeted review of specific areas of capital planning, many of the LNC firms are facing substantial investments in training, governance and documentation to meet expectations. In addition, firms are in full due diligence mode in preparing for the new CECL standard from the FASB. Assuming there is some relaxation in CCAR requirements, the new CECL standard will pick up where they left off and come at a “speed of business” pace rather than a bi-annual exercise. North American based firms are also anticipating and examining the expected impacts to their businesses from Brexit and are likely to see additional regulatory requirements when all is said and done. Firms with UK based operations supporting significant business in the EU are also looking at relocation expenses and other increases in day to day business costs resulting from the separation. A key theme will be how Finance, Risk and Reporting will become truly integrated as the start date for the new CECL standard approaches. Revising recognition of credit losses to include expected credit losses over the life of the loan will achieve the integration that regulators have long sought and hoped CCAR and stress testing would achieve. The CECL standard will win the day for integration because it will be business as usual and disclosed through the income statement versus a once or twice a year exercise submitted to prudential regulators and receiving limited public disclosures. While there are forces gathering in opposition to the standard, the preparation firms are undergoing now will likely remain in place and for very good reason – a truly integrated FRR process provides the best foundation to the bank’s management information system. In fact, CECL will be the primary focus of attention for banks in 2018 – particularly as to ascertaining whether financial IT systems are up to the task of handling the necessary changes. There has been significant time spent to date on learning what compliance with the new standard means, and the data gap analyses and enhancements to existing loss forecasting methods and models required to achieve compliance in 2017. Arguably 2018 will, for many, be a year of determining how to organize or reorganize finance, risk, reporting and IT people and processes to create the efficient, transparent and repeatable systems and procedures for calculating expected credit losses. Only those firms prepared to invest in the necessary technology infrastructure to aid them in their efforts will have any competitive advantage.